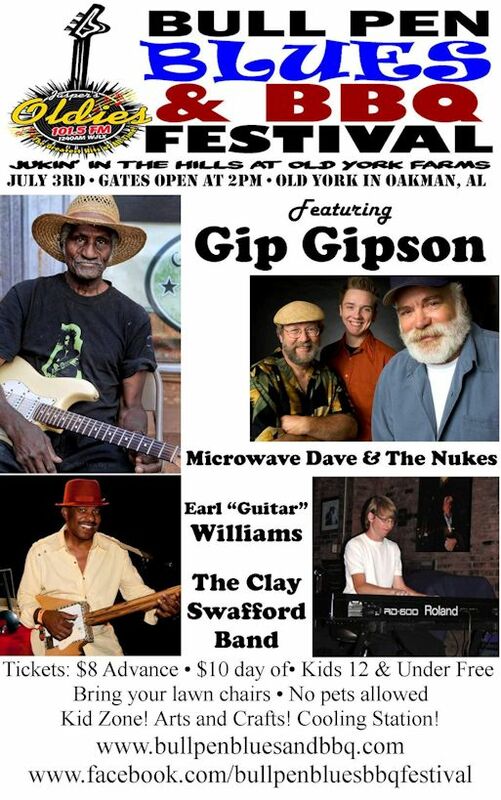 Wednesday, July 3rd Gip Gipson, Microwave Dave & the Nukes, The Clay Swafford Band, and Earl Williams will be performing at the Bull Pen Blues & BBQ Festival in Old York Town, Oakman, AL. Hop on-board and we'll send a note when there's an update!! www.SmallStages.com "original acoustic music in an intimate setting"
Copyright © 2019 MusicSceneAL.com. All Rights Reserved. The Magazine Basic Theme by bavotasan.com.